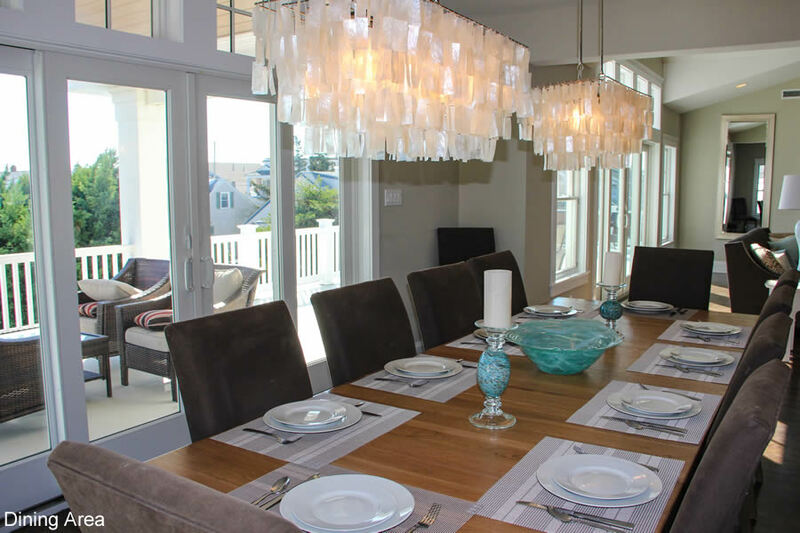 This spectacular custom built home is established on a lot that is about double the size of most other sites, thus allowing a distinctively unique floor plan featuring supersized rooms AND in all likelihood, the largest amount of outdoor living area (deck, front porch & pool patio) that you have ever seen here on the Island! 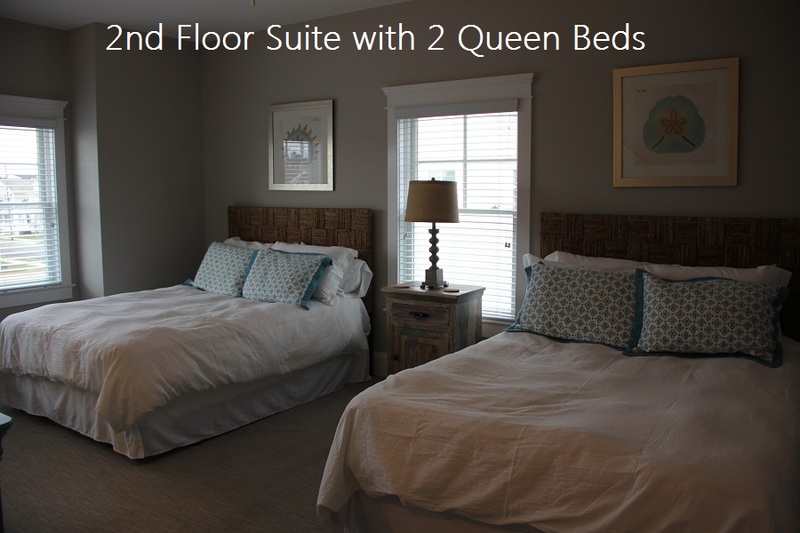 The property boasts 8 bedrooms (six of which have their own custom private bath), 8 full bathrooms (there are 7 full baths inside the home plus a full bath on the corner of the home; accessed only from the exterior of the house, perfect for coming off the beach or out of the pool), 2 Powder Rooms (one on each floor), 2 laundry rooms (one on each floor) and more! 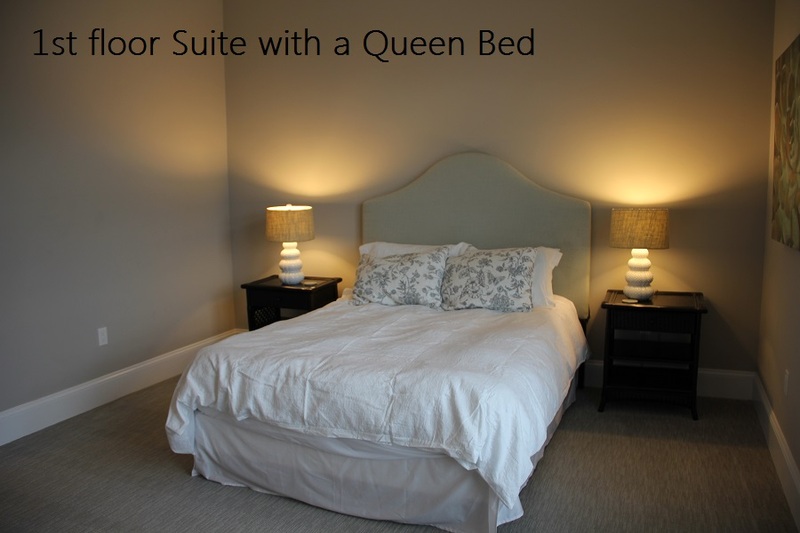 You'll appreciate the incredible convenience & time saved packing...the owner provides bed linens & towels! 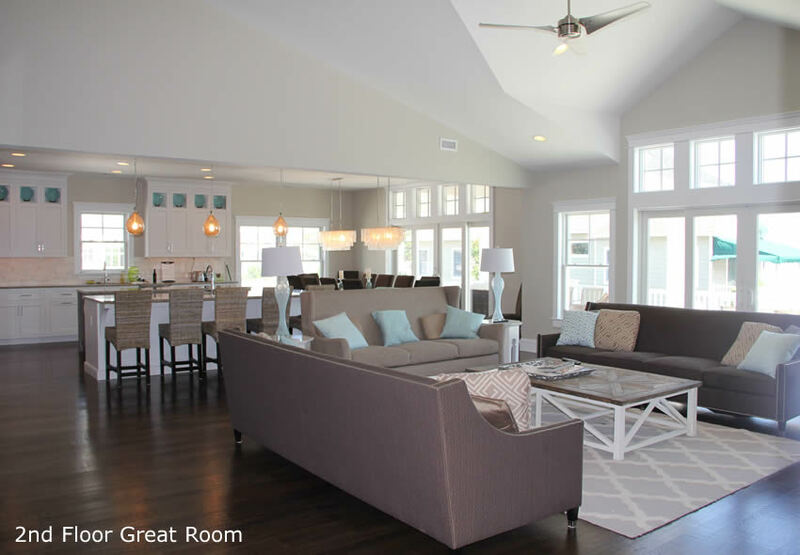 As you enter the home, there is an impressive center hall entry foyer w/a 2story ceiling above. 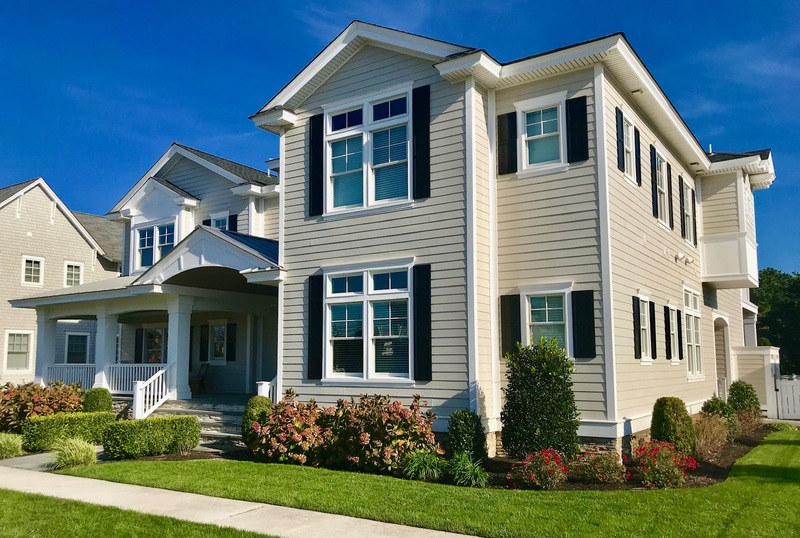 In the center of the home (overlooking a cozy covered porch & pool area) there is a spacious Family Room with an impressive 10' high ceiling, a full wet bar w/dedicated ice maker, bar sink & under counter beverage center. 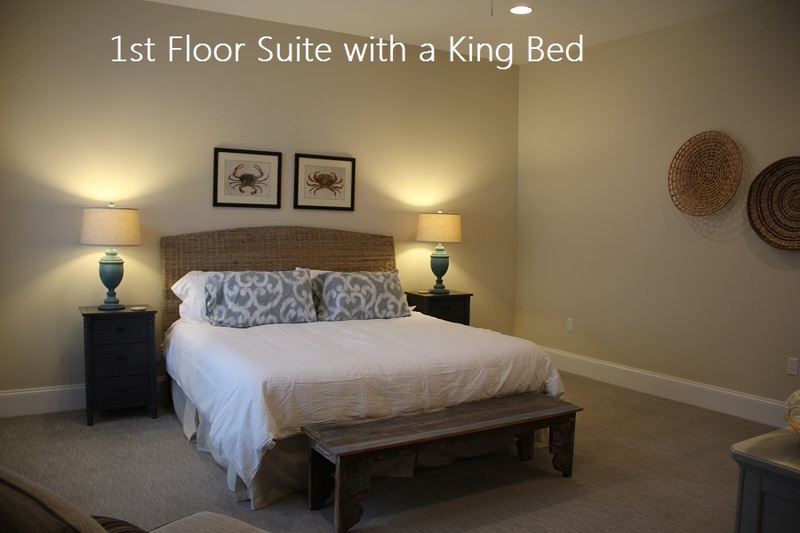 There are 4 private bedroom suites on this floor, 2 on each side of the home (1 Bedroom w/King Bed, 1 Bedroom w/2 Queen beds & 2 bedrooms, each having a Queen bed). 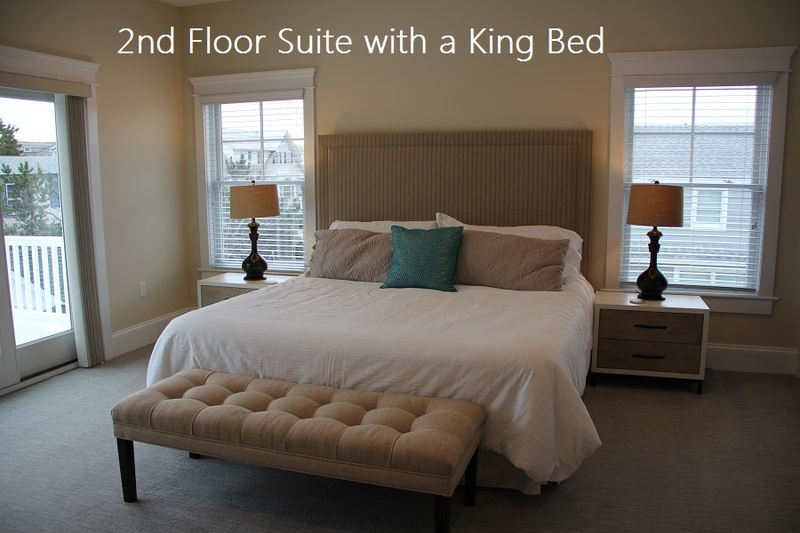 There is also a Powder Room, Laundry Room & elevator(upon request, see Agent for details). The pool/patio/outdoor fireplace is an oasis of its own! 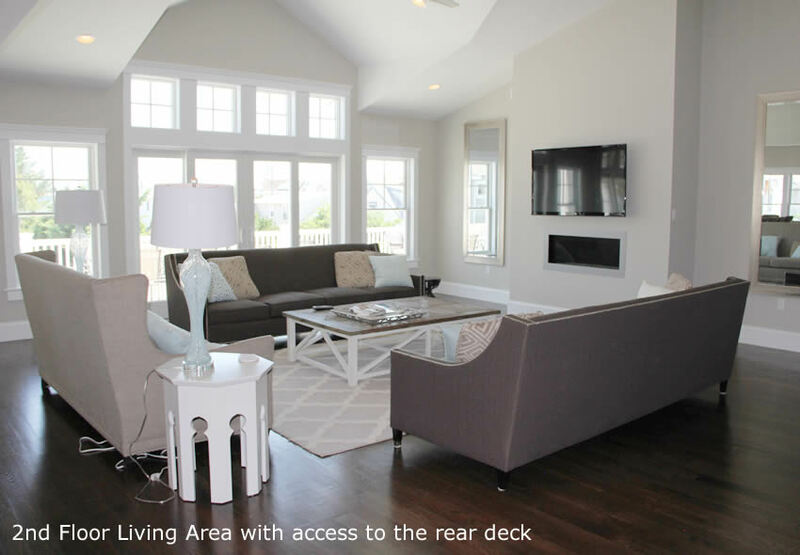 A large portion of this enormous outdoor living area is covered (by the deck above), thus providing welcome relief from the hot summer sun! 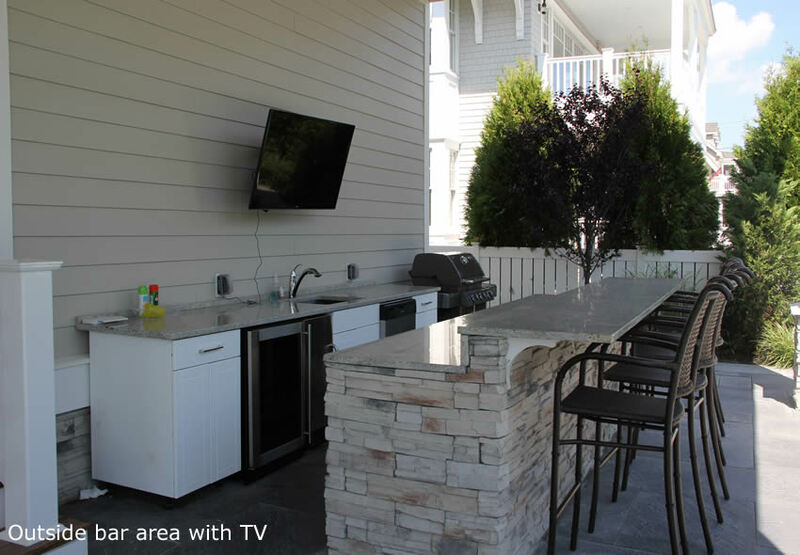 The outdoor kitchen area offers a wall mounted TV, sink, refrigerator & ice maker. 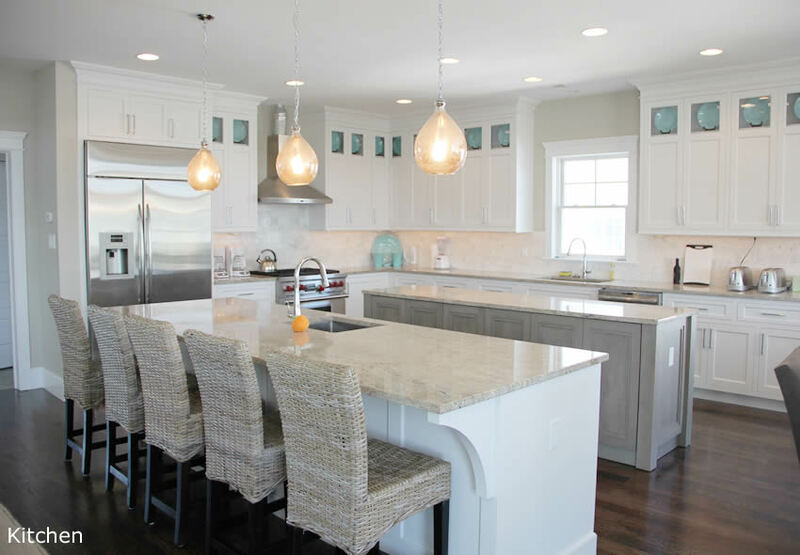 Three granite countertops (each spanning about 10 feet long) provide plenty of counter space! 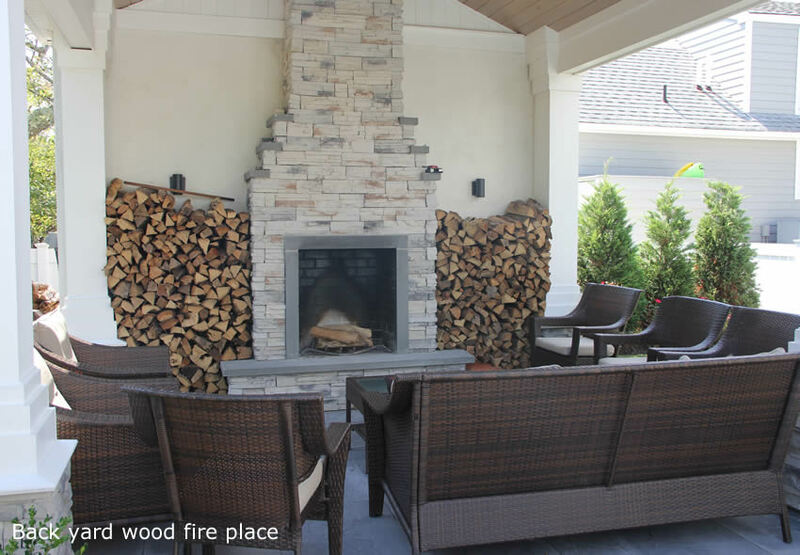 The outdoor fireplace is the perfect cozy space to gather with family & friends! 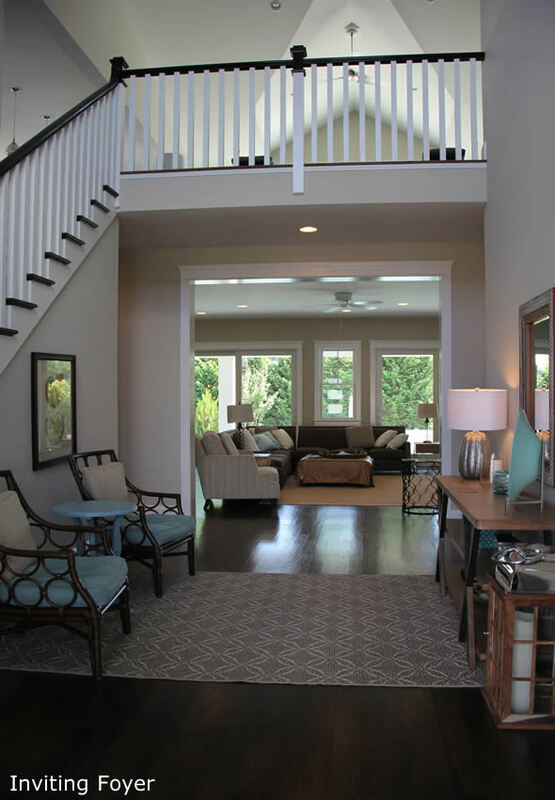 As you venture to the 2nd floor, at the top of the stairs you are greeted by a sprawling Great Room, which spans from left to right, occupying about two~thirds of the width of the home. 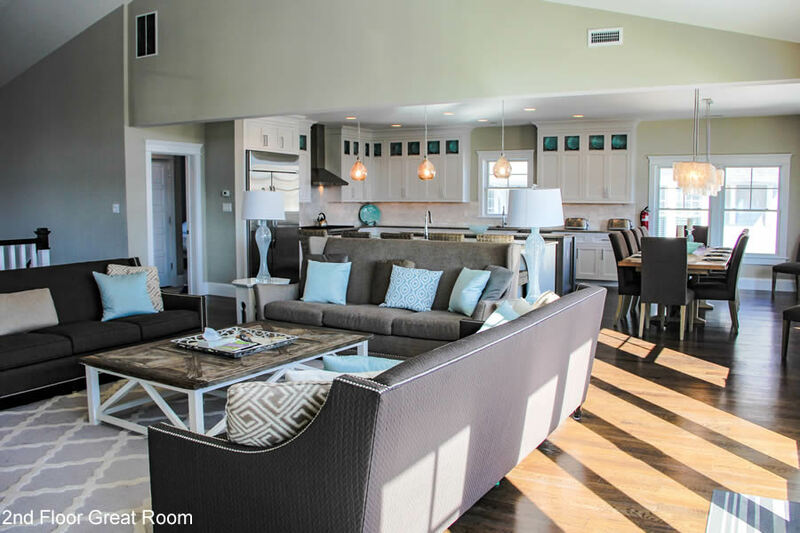 The oversized kitchen area is complete w/granite countertops, 2 sinks, a builtin refrigerator/freezer, 2 dishwashers, a builtin convection oven & microwave and a 4 burner range with griddle. Sliding doors lead to a deck that stretches the entire width of this oversized home! 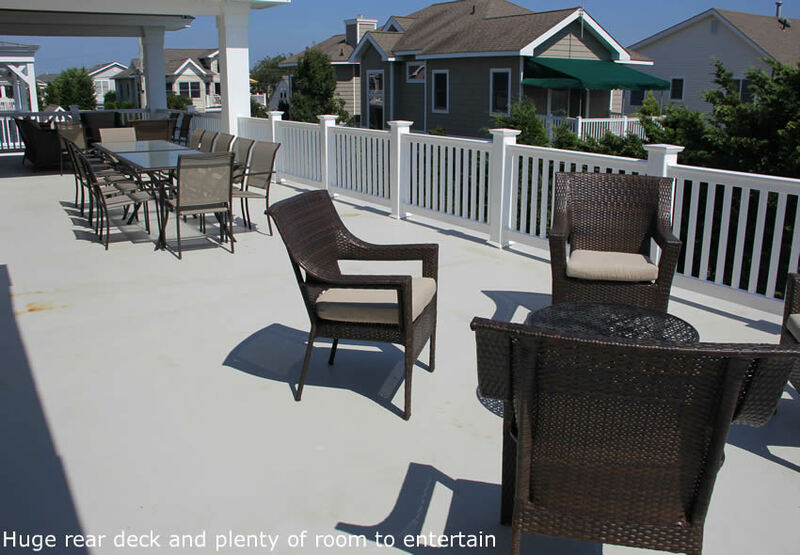 A portion of the deck off the kitchen is covered to provide relief from the hot summer sun! 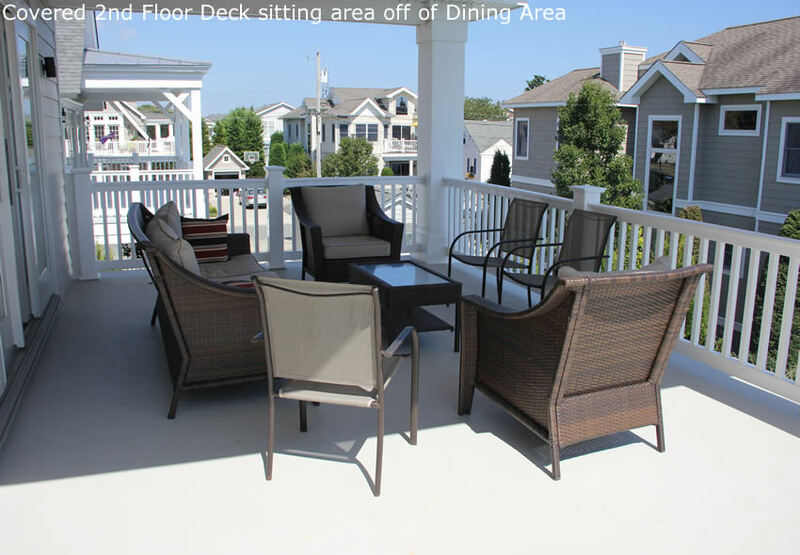 The deck overlooks the pool/patio area. 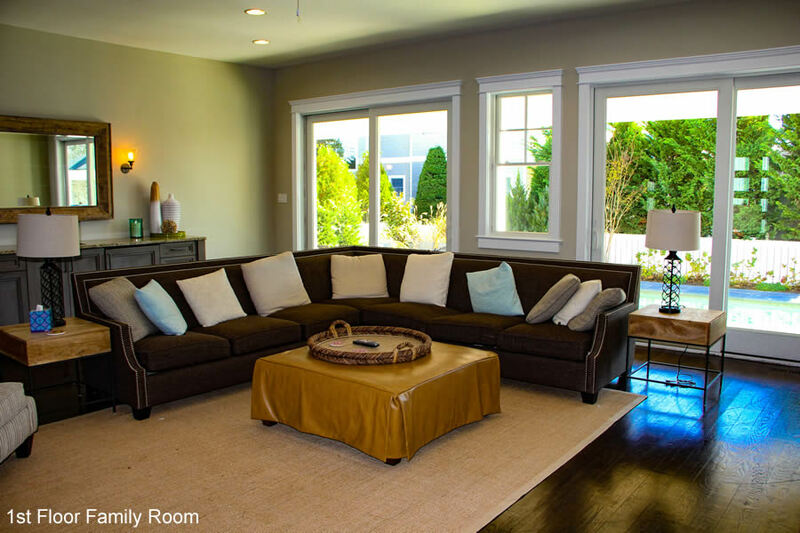 On the 2nd floor, there are 4 BD's, 3 BA's, a second Powder Room & a second Laundry Room! 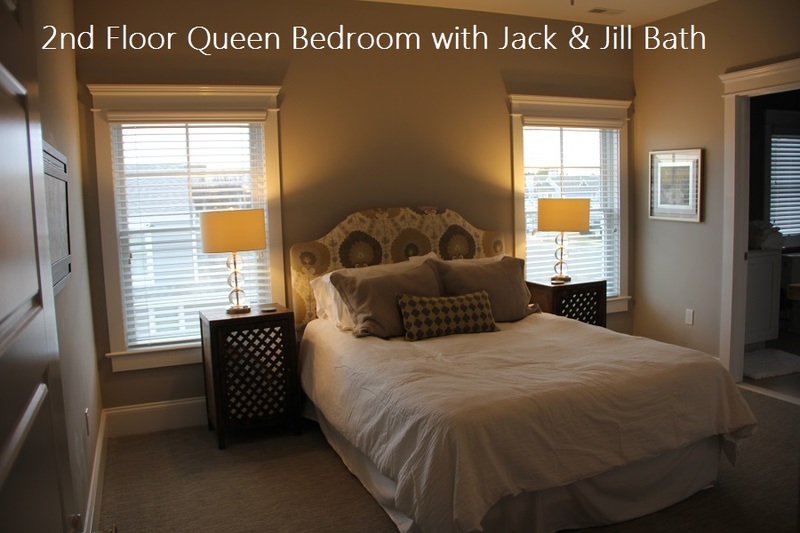 Bed sizes for the 2nd floor BRs: 1 BR w/a king bed, 1 BR w/2 Queen beds, 1 BR w/2 single beds with a shared Jack & Jill Bathroom, 1 BR w/a Queen bed shared Jack/Jill bathroom. 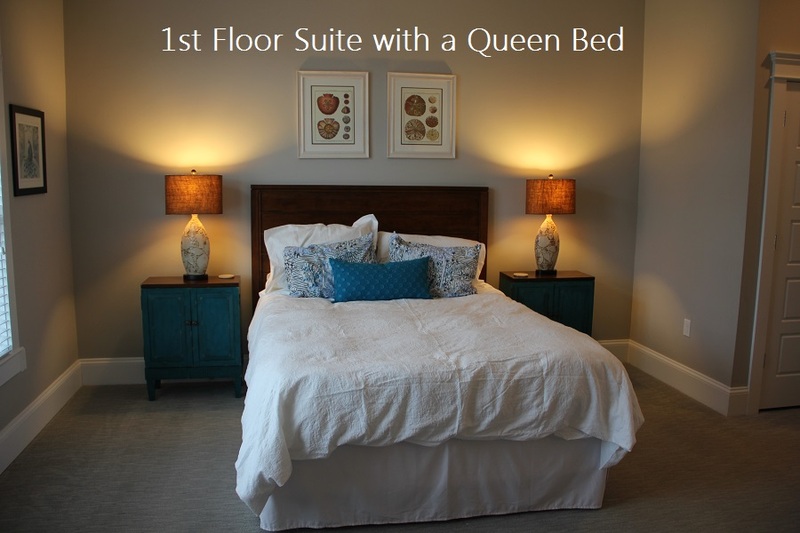 With 3 separate zones of central a/c & heating, your comfort is never an issue! 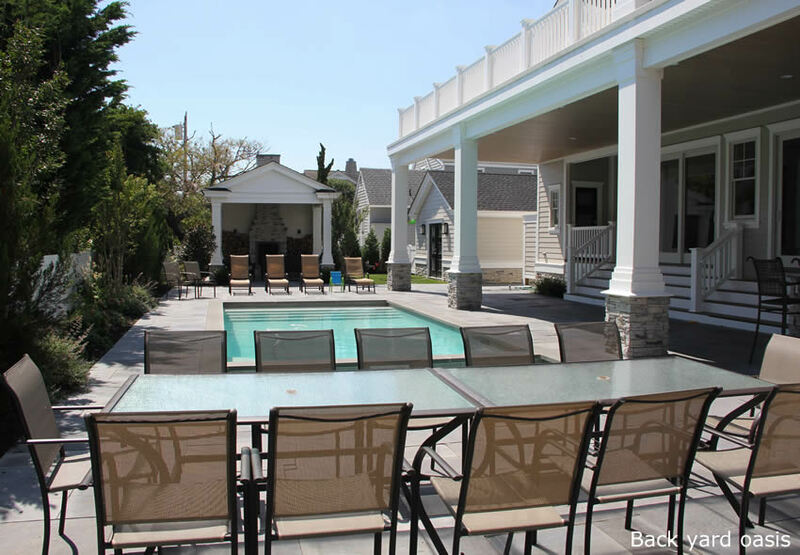 The pool is open & heated from late Spring through early Fall; ask your realtor for specific dates. The fiberoptic lighting within the pool casts a chic glow to the pool area at night. Seasoned firewood is provided so you can relax by the warm glow of a roaring fire! In the garage you will find beach chairs, bikes & umbrellas so don't bother lugging any of these cumbersome items along. LOTS of off street parking. NO Weddings, large functions or live bands permitted. Available OFFSEASON with a 3 night minimum of $3950 & $500/night thereafter and Holiday (Easter, Thanksgiving, Christmas & New Years) 4 night min. 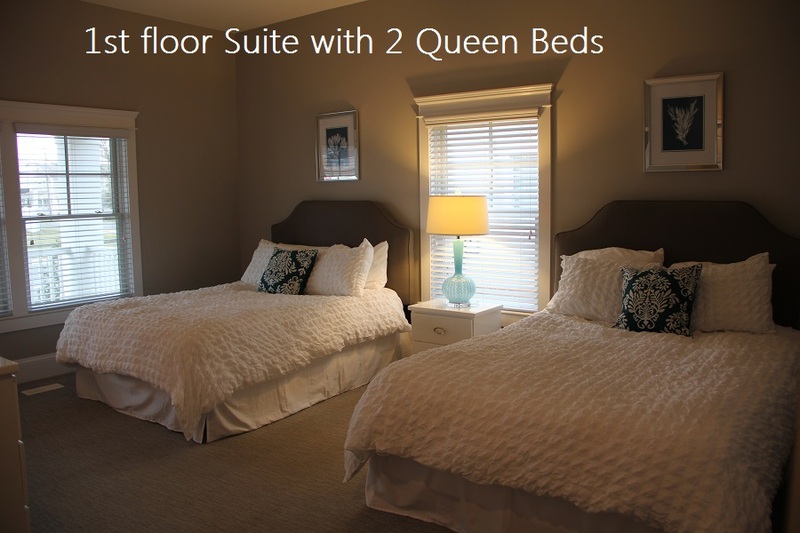 $4950 & $500/night thereafter. 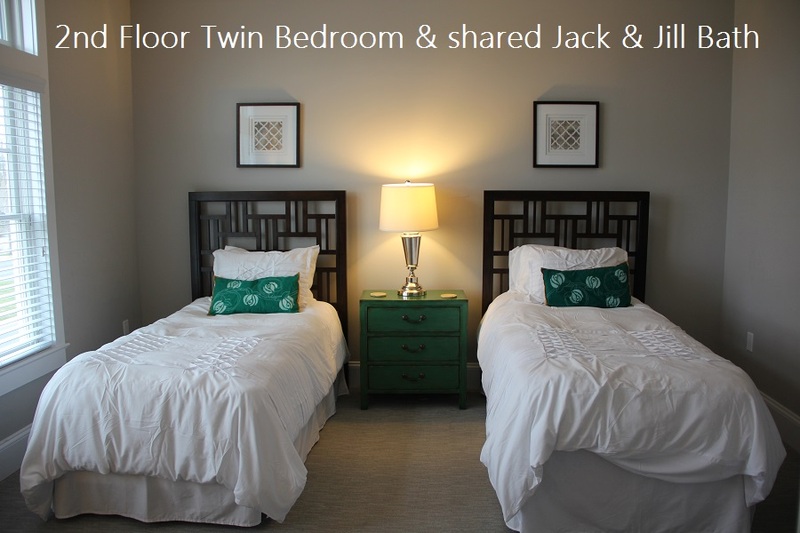 Ask your realtor for more details! !